A mammoth 72lb common has been banked by a UK angler on a carp fishing trip to Europe. Peter Murphy has laid claim to what is a catch of a lifetime, during a trip to Sumbar Lake in Croatia. Peter who runs Murphy’s Lake Fishery in France but is originally from the UK, tempted the dream specimen using an 18mm Monster Tiger Nut Red Amo, shelf-life boilie fished over a bed of crushed matching boilies at 70 yards. 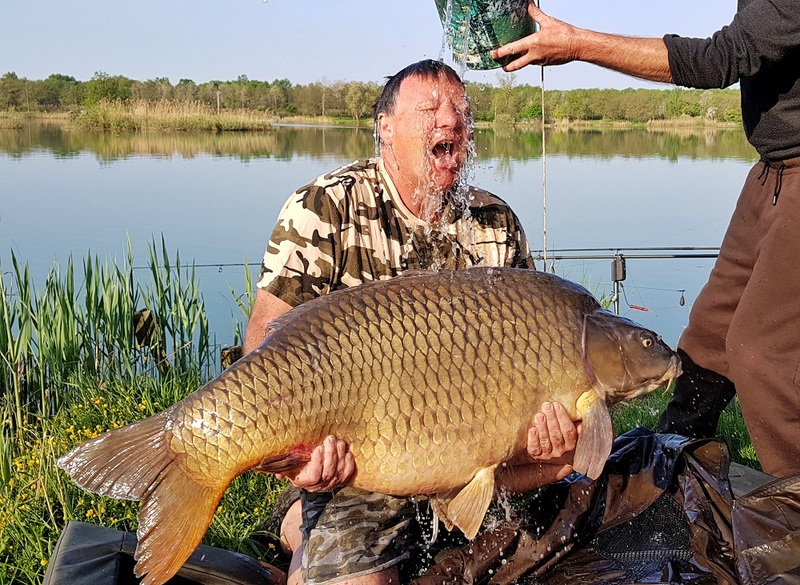 The prized fish came during a successful week long trip to the Euro hotspot which also saw his friend, Mick French bank a huge 60lb carp using the same bait.